I have seen the rice “I spy” packages before on Pinterest, so since my son has become interested in word searches and daughter has become interested in the “I Spy” books we have, I thought it was time to make an “I Spy” busy box. Some of these activities work for the toddler, others are more appropriate for the older child, and some are games they can both play (albeit, a bit differently with a toddler involved). 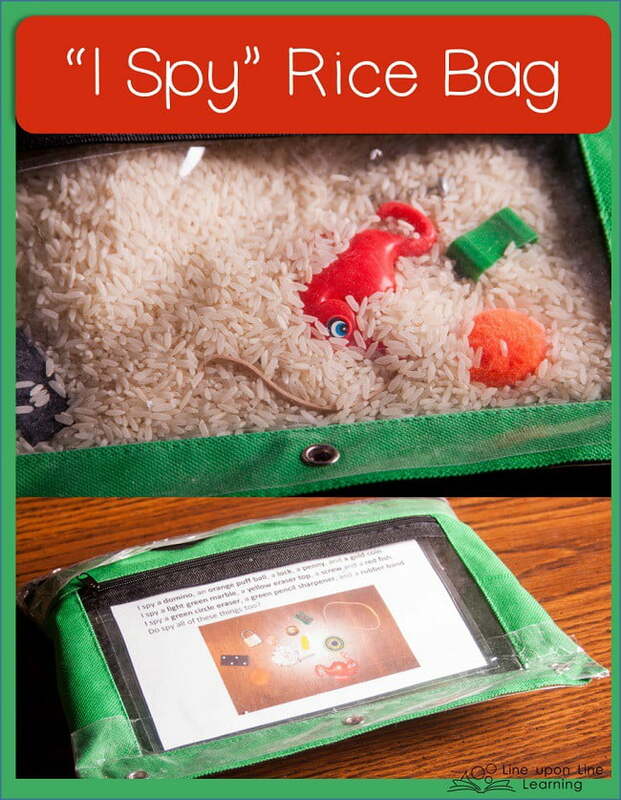 The look and find busy bag lets the kids search for familiar items in the midst of a few cups of rice. The entire I Spy busy box encourages visual discrimination, an important pre-reading skill. First, I made an “I Spy” search bag with rice and small trinkets I found around the house. This look and find activity was simple to create! I had a clear-cover pencil case , and then I took a picture of the random items I had found. I poured a few cups of rice into the pencil case and sealed it up with tape. The front of the pencil case has a second pocket that I can put the “key” in. My kids take the “key” out and search for the 12 items in the bag! Busytown Eye Found It! Game. This is a perfect game for Richard Scarry fans and for those who enjoy searching for the hidden things in the midst of an amusing scene. I highly recommend this game! 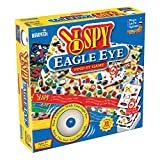 I Spy Game. My preschooler especially likes this one. This turned out to be a lot of fun! It’s something we each can enjoy, because I’ve included games for more than one person, but also because I’ve included different levels of games. 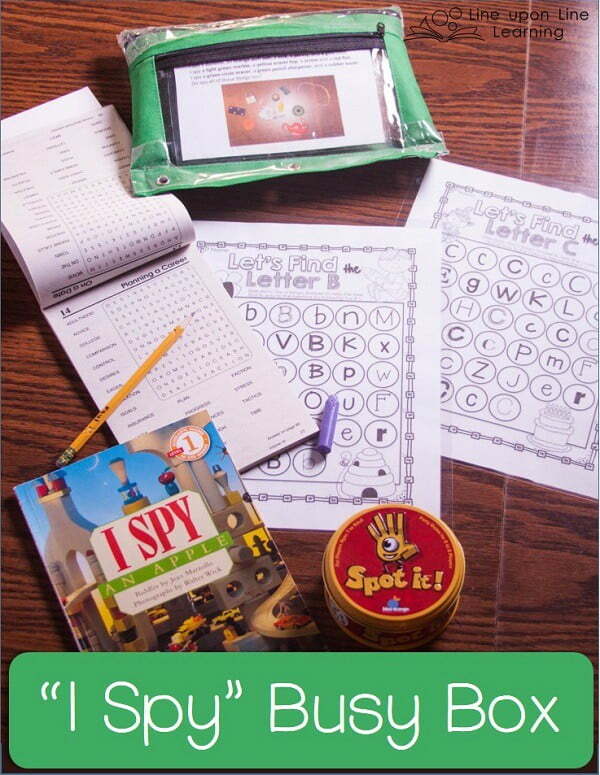 What would you add to an “I Spy” Workbox?